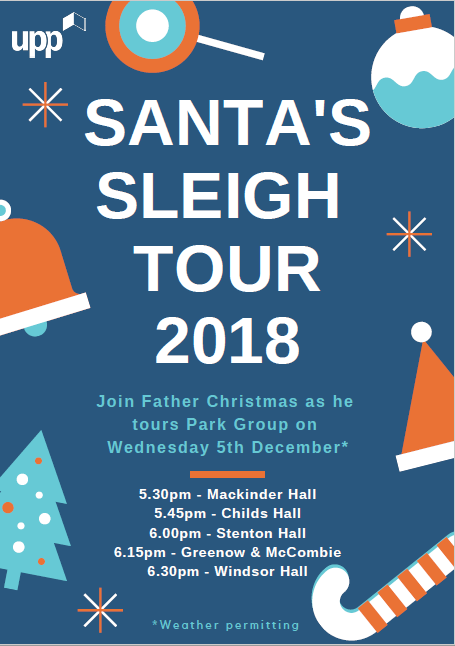 Catch Santa and his helpers as he tours the halls around Park Group! Please note, you do not need to sign-up for this event. You'll have the opportunity for photos with Santa near Park Eat afterwards. *Timings are approximate and weather permitting.